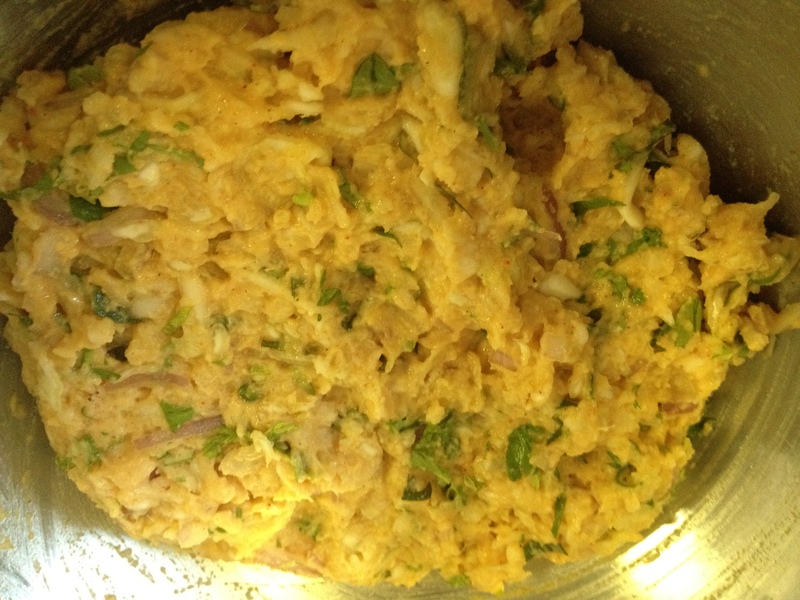 Mix all ingredients with water to form a thick batter. Take a lemon size quantity and make a round flat shape. Fry till both sides are golden brown. Use water to moisten your hands in between. Alternately drop teaspoonful of batter into hot oil. Notes: You can prepare everything in advance. Just add salt and water when you are about to fry. 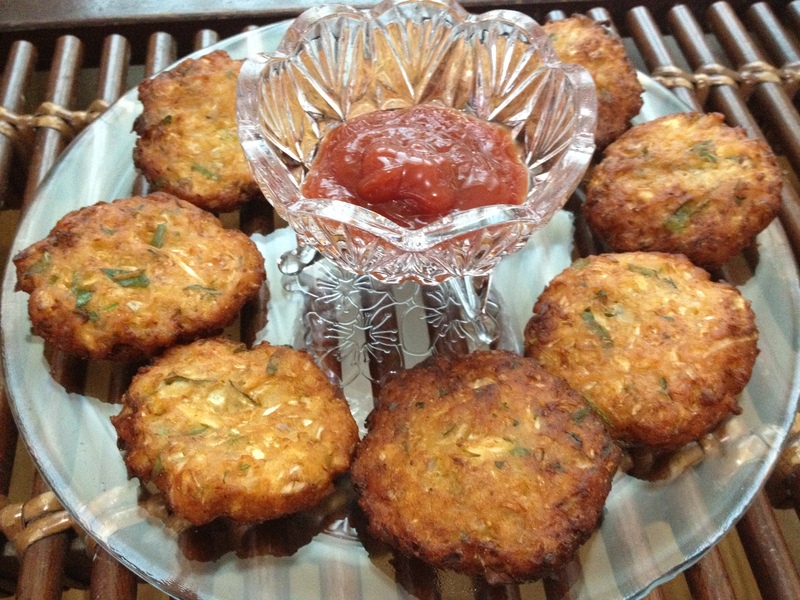 This entry was posted in Appetizer: Vegetarian, Snack and tagged cabbage, cabbage vada, easy appetizer by PriyaBaby. Bookmark the permalink.